Dubai, famous for its tropical vibes and jolly city life, gets even more exciting to explore when you ride a fashionable vehicle that gives to the essence of an urbane experience. Riding a car through the palm trees along the beaches, or maybe amidst brilliant city lights give you the best trip around the city. Now you can even rent a luxury vehicle with the help of services from vehicle renting companies or an agency in the city. When you rent a car, companies deliver to the airport itself. 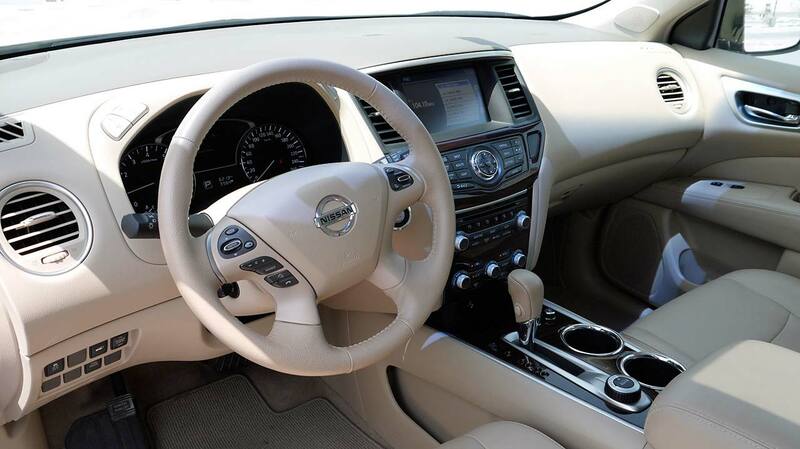 Nissan Patrol, one of the most luxurious SUV available at cheap rates at Rotana Star that you can hire, is an excellent choice considering performance and comfort. This SUV has several mind-blowing features which make both the interior and exterior dashing and captivating. 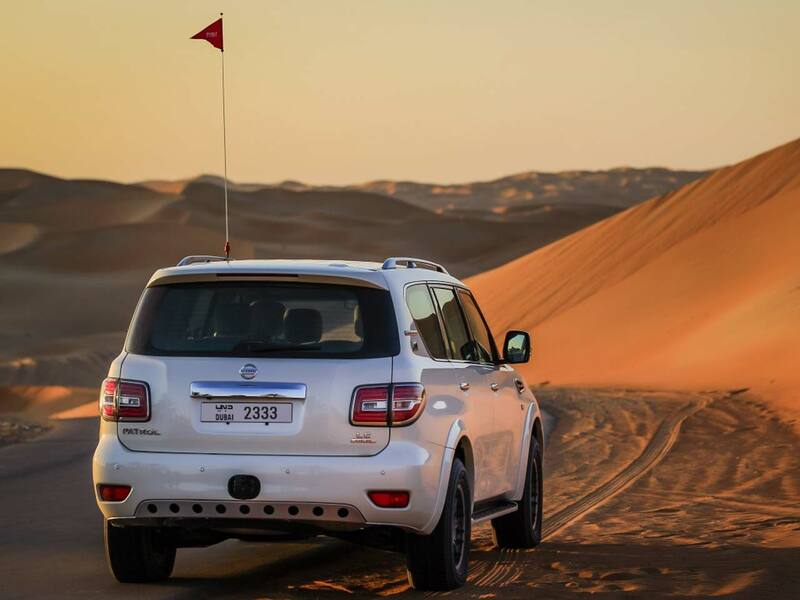 Rotana Star delivers the Nissan Patrol at popular locations such as Dubai Airport, Meadows, Arabian Ranches, Dubai Marina, Emirates Hills, Sharjah, Palm Jumeirah, The Springs, Dubai Land, Al Barsha, Dubai Motor City, Business Bay and Greens. With air conditioning, center armrests, fold-able rear seats, cargo area light, armrests for every seat, electric sunroof and intelligent seatbelt and key system, this lavish car earns a superior rank compared to other cars. The multi-information display guides you through the roads of Dubai. Exterior features include auto LED headlamps, halogen taillights, electric door mirrors and defoggers among other utilities. Plug music in the AUX or CD player and enjoy your hangout. 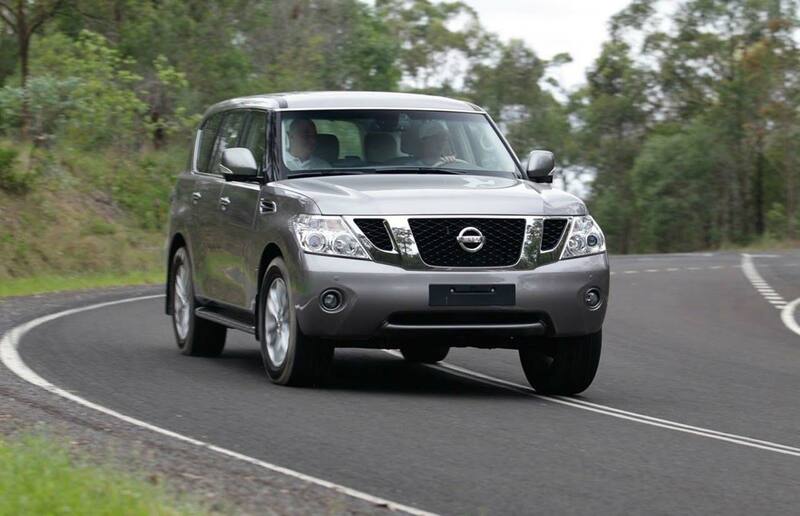 Hire Nissan Patrol in Dubai, we strive to provide the best service in the area. At Rotana Star , we have many years of experience in the hire car field. As a result, we can bring value for money and top-notch service – guaranteed. A key reason for this is because we own our entire fleet of vehicles. This means we have more flexibility on price, unlike our competitors, who often lease their cars on a long-term basis. 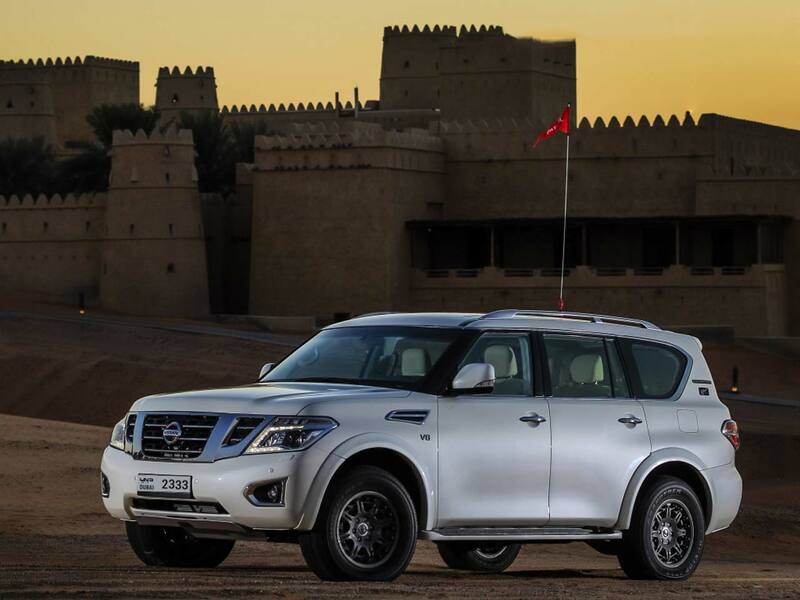 At Rotana Star, we make the process to Drive a Nissan Patrol in Dubai for rent easy. The first step is the browse our website to find a suitable price. After this, contact us by sending in a request via our online form or by telephone. We aim to get back in touch soon after to finalize the deal. When the time comes to deliver the car, we offer two options: either pick-up the car from our Dubai showroom or take advantage of our popular door-to-door delivery service. Our premium car rental services allow you the chance to rent a Nissan Patrol in Dubai or other SUV brand cars at affordable rates. Book online or over the phone and collect your rent a car or get it delivered in Dubai.